These offers are free with the purchase of the BSA Champ Ringo 16(2016) Bicycle. The BSA Champ Ringo 16 (2016) comes with a contemporary frame design, straight handlebar, unique coloured pedals and power brakes. The Champ Ringo 16 comes with 16” tires and coloured rims. The Price of the BSA Champ Ringo 16(2016) is Rs.4780. 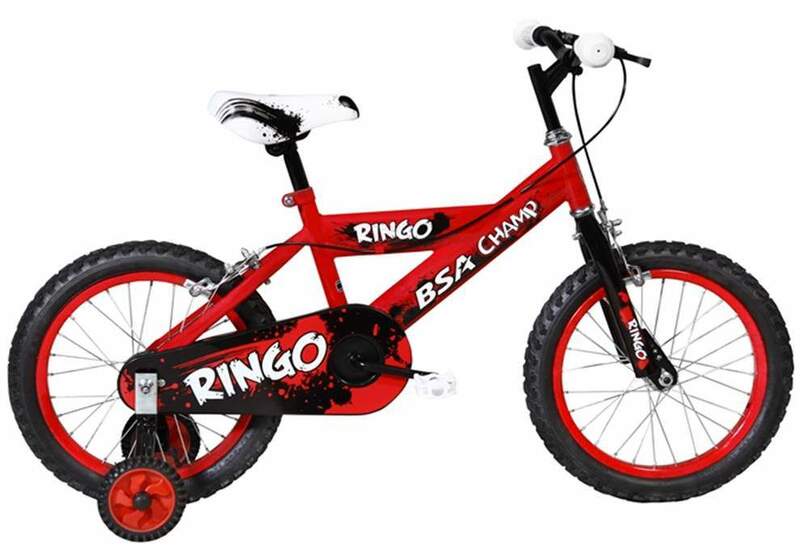 The Ringo 16 is best suited for any kid aged 4 to 6 years or is 3ft 6in to 4 feet tall. This bicycle is ideal for riding around the house compound and on empty neighborhood streets. 2. In what condition will I get the BSA Champ Ringo 16(2016)? 6. How will I know if BSA Champ Ringo 16(2016) will fit me without riding it? 7. How long will it take for me to receive the BSA Champ Ringo 16(2016)?